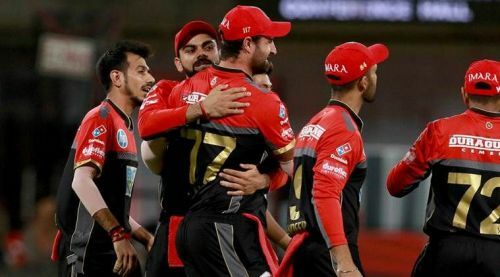 Leading into the IPL 2019 Auction held at Jaipur on December 18, 2018, Royal Challengers Bangalore were one of the teams who had retained its core. The franchise performed poorly in the 2018 season but it was poor team strategy and dismal team management that costed them. Thus, this year they persisted with the same players and tried overcoming the remaining gaps. In the marquee event, RCB purchased as many as nine players. Their most high-profile buys were the Mumbai all-rounder Shivam Dube (5 crores) and Caribbean big-hitter Shimron Hetmyer (4.2 crores). They also bought the South African wicketkeeper Heinrich Klaasen and few other Indian players who are mostly future investments. Quinton De Kock’s departure from the side prompted a vacancy for the opening spot. RCB failed to sign an established opener but added a number of middle-order batsmen. At a squad size of 24, Royal Challengers Bangalore will have a problem of plenty. While having a horde of backup players is crucial, these three could be surplus in the RCB dugout. The IPL franchises have always shown a liking for the players who trouble India at the international level. Moeen Ali was a significant perpetrator in India’s failure in England. The bearded all-rounder was signed by RCB for 1.7 Crores to play in the IPL 2018. Moeen Ali featured in five matches for the Bangalore side in the 2018 season. He did score a half-century but failed to generate an impact otherwise. He ended up with scoring 77 runs and took three wickets in the limited stint. Ali remained largely unused in the last edition and a similar fate awaits him this year. Yuzvendra Chahal spearheads the spin attack of RCB. They have the off-spinner Washington Sundar and left-arm spinner Pawan Negi as reserves. Both are capable batsmen as well. 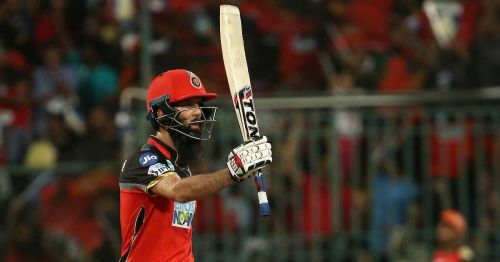 With the Indian backups available, RCB is unlikely to select Moeen Ali as the overseas player. The Englishman might turn out to be surplus at RCB.